Happy Tuesday fellow travel lovers!! 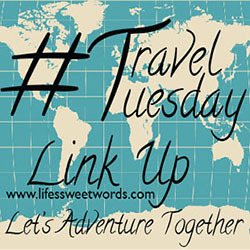 It's time for another #TravelTuesday linkup!! Can't wait to see where you have been adventuring lately! Best foreign beer Beach you've visited and where: I'm much more a wine gal than a beer drinker, so beer to beach seemed like a good trade! My favorite beach so far has been this little hidden oasis we found in Grand Turk (off a trail behind the lighthouse), with a little natural swimming pool, where we had the whole place to ourselves for the entire afternoon. Cuisine (favorite): Costa Rican; I have gone on two different mission trips to Costa Rica and while working, the people in the community we are serving in cook lunch for us and then we all enjoy a meal together. Best. Food. Ever!! Destination (favorite): Oh gosh, this one is hard! Each destination has it's own uniqueness that makes it a favorite for different reasons. 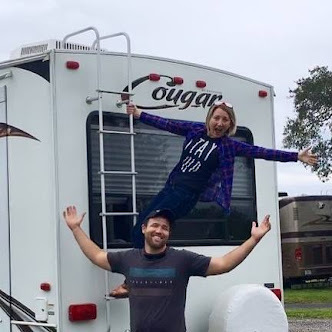 Though not a specific destination, I think some of my all time favorite moments happen on quiet trips in our travel trailer, Flo, or while we are on a cruise. There is just something so calming about being unplugged from the rest of the world. I really loved Grand Turk and Aruba! Experience that made you say wow: African safari in Kenya! Favorite mode of transportation: Large scale; cruise ship! Small scale; the back of a scooter (driving freaks me out!)! Overall; driving in Flo, so that we are always carrying "home" with us! Greatest feeling while traveling: Just taking in all the beauty the world has to offer; the different scenery, diverse and unique cultures, etc. That feeling that you can make you seem so small in comparison and yet so full and connected as well! Hottest place you've ever traveled: Am I allowed to say home?! Florida is hot, y'all!! Though actually out trip to Savannah was super hot and muggy, so that might beat it?! Incredible service you've experienced: The people in both Costa Rica and Kenya were so hospitable. Their caring hearts and welcoming nature was far better, in my opinion, than any "first-class" service at any resort ever. They open their homes, hearts and community to make you feel like you are part of their family! Journey that took the longest: Kenya, for sure! But it would have been worth so much longer. Such a beautiful place, with beautiful people! Even though many were living in what were the poorest conditions I have ever experienced; people were smiling and inviting and just so loving! Keepsake from your travels: We don't like spending much on souvenirs. Instead I like to find little treasures from each place we go; sea glass from Mykonos, shells from Grand Turk, neat stones I find while we are out hiking. I do like to get ornaments from different landmarks if I feel like they are affordable. Hanging them on the tree each Christmas brings back all the memories! Least favorite destination: Honestly, probably New York City (or maybe Athens, Greece- minus the ruins). Too overwhelming for my senses! I am definitely more of a great outdoors kind of girl, but I love a good city with great restaurants and food close at hand (I mean I do call Orlando home... for now), but I think those cities were just a little much for me. Large crowds of people make me nervous and I start to feel claustrophobic and no matter where you were there just always seemed to be tons of people. Moment when you fell in love with travel: Oh man, I don't know! I think it's just always been ingrained in my heart. But I think when we got our travel trailer was when my thirst to really "just go" fully kicked in. Nicest hotel you've stayed at: Honestly, I prefer renting a house or little villa to a hotel. One of my favorite places we have ever stayed was this little cozy cabin in North Carolina. It had a little creek running through the backyard, a lovely fireplace and a tree swing. It could have had just the swing and I would have thought it was the best little place. Give me cozy cabin over fancy hotel any day! Obsession (what you take pictures of most while traveling): Honestly, the people I am with... I know there are so many great sights to capture, but I love experiencing it all with the people I call mine. I want to stop that memory, and the feeling that came with it- even if just for a moment- so that I can always look back on it and think, "yep, that was a happy moment and we were all together!" Passport stamps (how many & where from): I can't seem to find my passport (eek! ), so this will be updated when I get my life together and can put my finger on it again!! Soon (fingers crossed)!! Quirkiest attraction you've visited: I love a good road-side attraction! I really want to hit up Route 66 someday, but I think so far the quirkiest (and possibly sketchiest) thing would have to be when a friend and I stopped at this little road-side farm/commune when we saw a sign for "piglets for sale". That was one strange little place for sure! A big bus that had been painted all kinds of colors and turned into a type of bedroom (non-ACed and in Florida), huge pigs roaming around, chickens, watermelons for sale, and the list goes on. Really frightening (a place you have felt insecure/uneasy): Athens, Greece; there was some political unrest when we were there and a bomb went off not far from where were eating one night. The city itself wasn't super welcoming and I just felt uneasy. I could not have been happier to get on our cruise ship and tour the islands. Splurge (something you have no problem spending $$ on while traveling): FOOD!! And drink! Gimme all the yummies and please fill my cup!! Most Touristy thing you've done: Oh man, I am horrible! I have since tried to blend in better, but being from Orlando and an avid Disney lover I don't think there is a touristy thing I haven't done. I mean we got engaged at Disney. 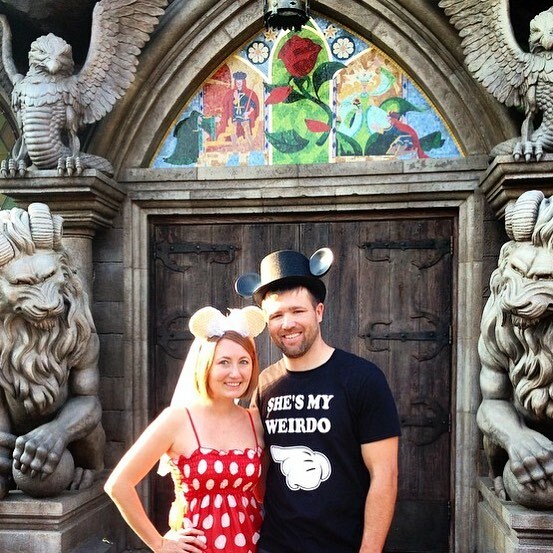 But, I think forcing Andrew to wear Mickey ears and matching t-shirts would probably take the cake. Most Unforgettable travel memory: I am horribly indecisive (as if you couldn't tell already) and these questions are killing me! Maybe our adventure in Aruba, with cave touring and cliff jumping or my entire Kenya trip or the Grand Bazaar in Istanbul... there are just too many things flashing across my brain. Best glass of Wine: I am a sweet wine girl and haven't stepped it up to the fancy stuff yet. One of my favorite wines is from this little vineyard in Georgia called the Watermelon Creek Vineyard. Their Lane's Bridge Red speaks my kind of language! eXcellent view: Snow-capped mountain views give me all the feels!! And the Baths in Virgin Gorda were some of the most awesome views I have ever taken in. Years spent traveling: I've always been a traveler, even as a young kid my family made it a priority to see new places. Babe and I have been traveling fairly regularly for the last 5 years, with much more planned in the future. Z is supposed to be Zealous sports fans, but given that I am not a watcher of the sports I am going with place you get the best ZZZZs: On a cruise ship, no doubt! The darkness of an interior cabin added to the gentle lull of the ship on the water and Andrew literally has to force me awake most mornings (around 10 on ship day; don't judge)! And that's a little peek into my travel history! If you've never done one of these it is really fun! 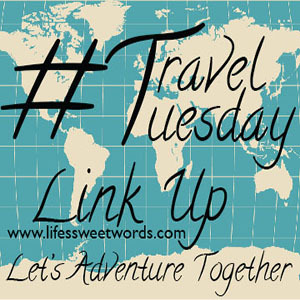 If you decide to take it for yourself feel free to add it in below for this month's linkup (or share any travel related fun in your world lately)! ~I will also be sharing my favorite post from the month before. 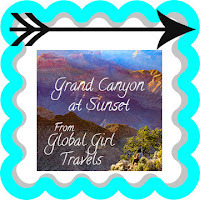 October's fave was from Global Girl Travels, because the Grand Canyon at Sunset? Yes, please!! Thanks for sharing about your travels - so interesting! The hottest place I travelled was Marrakesh in Africa and I live in Houston, Texas so you know it was hot! But so fun to see a different culture / world too. Haha, oh man!! That must have been hot! But, yes, definitely so awesome to get to experience such a different culture! This is such a cool post! I love how you used the alphabet! Thanks :) I had a lot of fun with it! I love this! We try to do ornaments from each place we visit too! Such a great, easy souvenir for sure!! Love this post - super unique! I agree with you on being in Orlando - is it even possible to be in Disney without being super touristy?! Thanks! And haha!! Nope, probably not!! I just embrace it!! #TouristGeeksUnite! This is awesome! I think I need to do my own ABC's! What's funny is the best sleep I have ever got was camping in a tent on an air mattress this past July in the Texas Mountains. I kid you not! You so should!! It is so much fun!! And haha, I totally get it! I love a good camping snooze too!! The sounds just lull me like a lullaby!! Steal away! I actually found it from someone else, who had found it from someone else, who had probably found it from someone else haha!! If you end up doing it, share your link with mext month's linkup. I would love to see all your great travel memories!! This is so awesome! I like this idea better than the topic I have planned next. Mind if I use it? Not at all!! Use away! I borrowed it from elsewhere myself and they had borrowed it from someone else. Just a fun little travel happy to all share and enjoy! Can't wait to see yours! I love, love, love that you said Costa Rican as the best food!! My husband is Tico and we couldn't agree more. Fun post!! It is seriously, the best!! Does your husband enjoy cooking?! I would be begging for authentic CR food ALL. THE. TIME! !